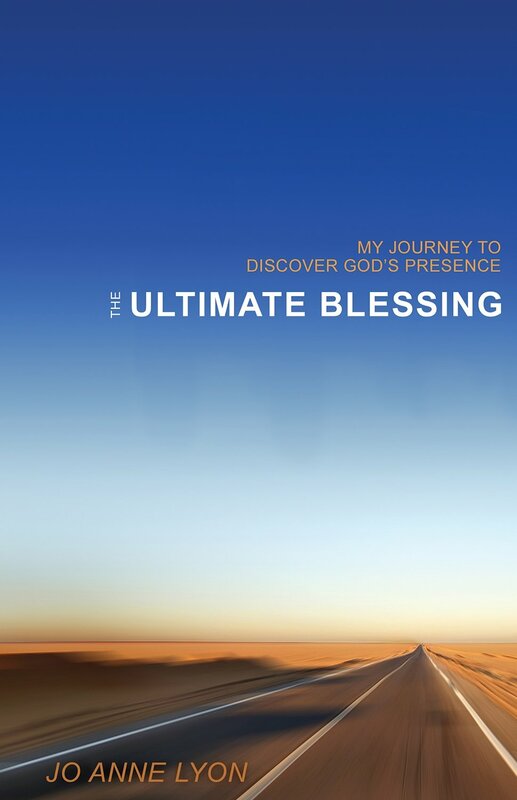 In The Ultimate Blessing: Rediscovering the Power of God's Presence, Lyon tells her own story, the tale of a working mother who has struggled with everything from laundry to infertility and from reconciliation to world hunger. Through a combination of personal vignettes, quotes from Christian thinkers (Desmond Tutu, Henri Nouwen, Catherine Marshall), and deep reflection on God's mysterious ways, Lyon crafts a work that tells of God's powerful presence in her life. God's blessings, she argues, are not the things we usually call to mind with we think of the word "blessed." You'll find here no stress-free job, ideal family, or sudden inheritance. Instead, Lyon challenges us to see the immaterial elements of our lives as the areas where God's blessings rain down abundantly. In the pain of a toxic workplace, the relinquishment of power in a relationship, or the practice of being present with a person as he cries, we find God reaching down to bless us. Lyon examines the blessings of presence, suffering, power, purpose, holiness, reconciliation, loss, and possibility, studying the way these things have changed her life and those around her. In one of the book's most powerful scenes, Lyon stands in a field outside a refugee camp in Sierra Leone, surrounded by starving people who sit silently staring at her. Lyon looks down into their faces and despairs at her helplessness, knowing she has neither food nor medical aid to offer them. But then she remembers Matthew's description of Christ who, upon seeing a crowd, had "great compassion on them for they were helpless." In that apparently God-forsaken place, Lyon suddenly sees the world as Jesus sees it. She tells the people that, while she has nothing tangible to offer them, she is committed to sharing their story with the outside world. Grateful for the simple gift of being acknowledged and heard, the refugees smile and touch their gaunt cheeks to hers, sharing the blessing of their presence with her in return. Those who read this book will be blessed—with knowledge and honesty, courage and hope, as they discover in Lyon a companion who shares God's story of love, our story, with the world. This review originally appeared in Prism Volume 11, Number 6 (Nov./Dec. 2004): 36 and is reprinted with permission. Andrea Cumbo Dowdy works as a researcher for the Martin Luther King, Jr. Papers Project at Stanford University.